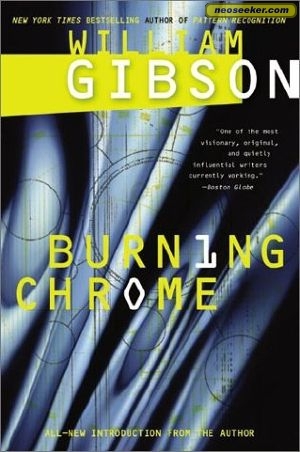 “The Gernsback Continuum” is a short story by Nebula Award-winning author William Gibson that was published in his 1986 anthology, Burning Chrome. The Story: When Raygun Gothic Strikes! A photographer named Parker is given an assignment to take pictures of places that feature a distinctive style called “Raygun Gothic,” a kind of futurist architecture based on what people in the Forties and the Fifties thought the future would look like. But as Parker delves deeper into this story, he finds a few instances of this imagined future coming to life on lonely roads in the Midwest: giant flying wings, men and women with perfect Nordic features and brilliant white robes, and gargantuan cities with millions of flying cars. It terrifies more than he can say, even though it helps get the assignment done. There aren’t too many characters outside the narrator, Parker. He does meet up with a fellow reporter named Merv Kihn, who makes a living interviewing Americans who claim to be UFO abductees or know other paranormal things. Kihn offers some good advice on how to manage the strange and unknown, but beyond that we don’t go far outside Parker’s own frantic consciousness. This whole story is essentially a look back at the world as it was for men like Hugo Gernsback. For those who don’t know, Gernsback was the founder of Amazing Stories, a magazine devoted to stories in the now-modern genre of science fiction. It was in that era that we get all these images of a “tomorrow that never was,” where everything was shiny and idealistic, a Progress Eternal that would raise human beings into an angelic state of existence. 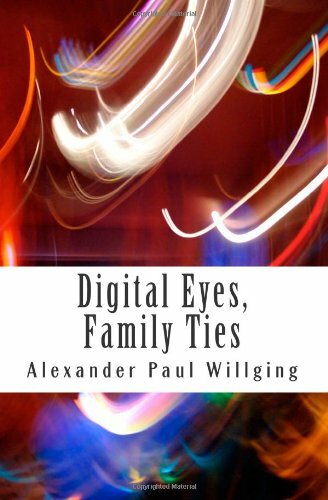 Of course, we who live in the twenty-first century know the future didn’t turn out that way, but for poor Parker, he has to live with such impossibilities emerging out of thin air and haunting his every step. It took me a moment to get into this story, but I found that it was a nice little retrospective on the first half of the twentieth century. Essentially, I feel like a lot of Gibson’s cyberpunk stories are a gritty answer to the shiny idealism of early science fiction–not that the early stuff wasn’t good, but that the shiny spires and flying cars don’t always seem to fit with the modern reality. Bibliography: Gibson, William. “The Gernsback Continuum.” Burning Chrome. 1981. It’s excellent to come across some sort of blog each and every now and then that isn’t exactly the same out of date rehashed material. Fantastic go through! Thank you! Glad I could be of service there.